G.P. Putnam's Sons Books for Young Readers, 9780399160844, 40pp. John Duvall grew up on Long Island, New York, where he started work as a tree climber--a job that quickly developed into a lifelong passion for trees. In 2009, he wrote an op-ed for the New York Times about the Christmas tree tradition. John is a tree-care consultant in New York. 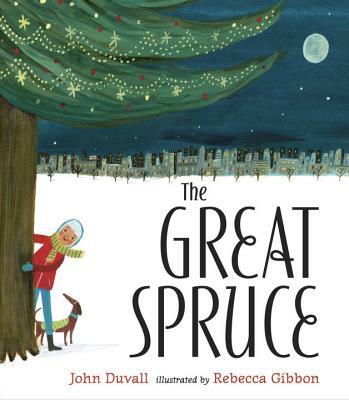 The Great Spruce is his debut picture book. Rebecca Gibbon is the illustrator of several picture books, including Papa Is a Poet, Celebritrees, and Elizabeth Leads the Way, which was named an ALA Notable Book. Rebecca lives in England with her husband and their two sons.